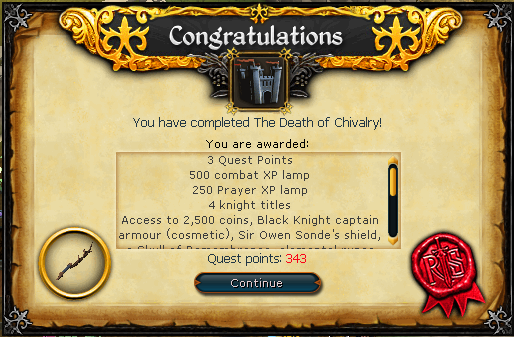 The Death of Chivalry is a quest released in August 2013. It is a free-to-play quest which replaces the former Black Knights Fortress Quest. No, I have something... Special, planned for him. To begin the quest, speak to Sir Owen at the cabbage patch in the Edgeville Monastery. 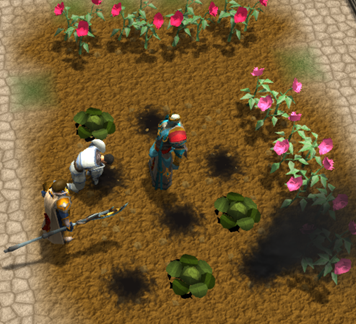 Doing so will cause Saradomin to materialize onto the cabbages and burn them (poor things). 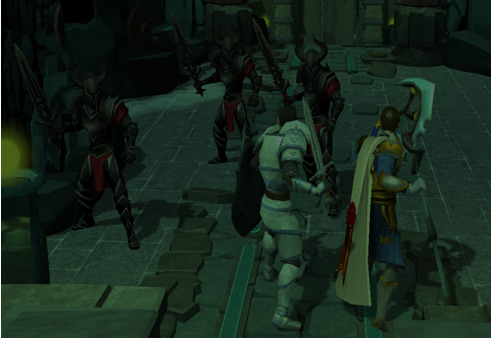 Saradomin will then tell you of a mission that you and Sir Owen must undertake within the fortress of the dark-hearted Black Knights of the Kinshra. He says that they have a deadly weapon in store that they plan to unleash on the White Knights and the people of Falador, and he wants you to stop them. He will generate a disguise for you to wear, which is the armour of the high-ranking Black Knight "Captain Dulcin". Get used to this name. Sir Owen is to be your prisoner. 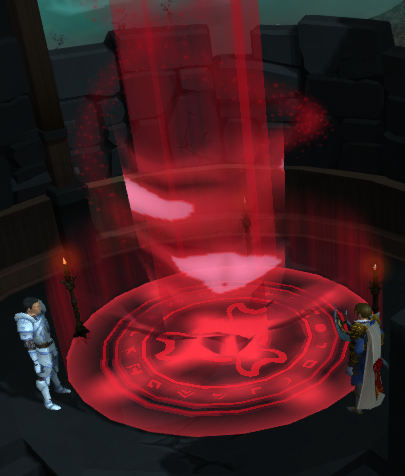 After confirming, Saradomin will teleport you and Sir Owen away to the Fortress. From this point on, you must maintain the personality of the high-ranking Black Knight when talking to anybody besides Sir Owen when in the fortress. Keeping up this persona will make access through the fortress easier, but if you do not live up to the snobbish manner of Dulcin the knights will begin to suspect you. There is a meter tallying how much the Kinshra suspect you: keep this as low as possible, and if it reaches 100% you will find yourself outside the fortress with all your progress reset. A: Quit your prattling, fool, and raise the portcullis. Your suspicion level will rise 25% at this point whatever you say. 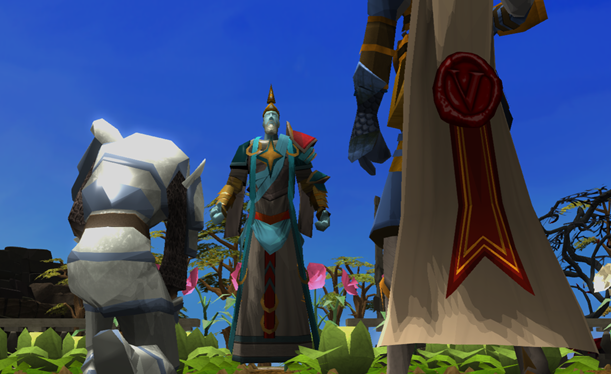 Q: And what are you doing with a knight of Saradomin, sir? A: My reasons are none of your concern. Q: Captain Dulcin! Why is this prisoner not under guard? A: Are you suggesting I cannot handle a mere knight of Saradomin? A: What do you want, maggot? Q: I'm sorry to bother you, captain, but prisoners are not permitted on the upper levels. A: Stand aside, or you will regret it. You will now go up the stairs. Walk east and then south into the chapel. Q: Ah, Captain Dulcin. You have arrived at the opportune time. 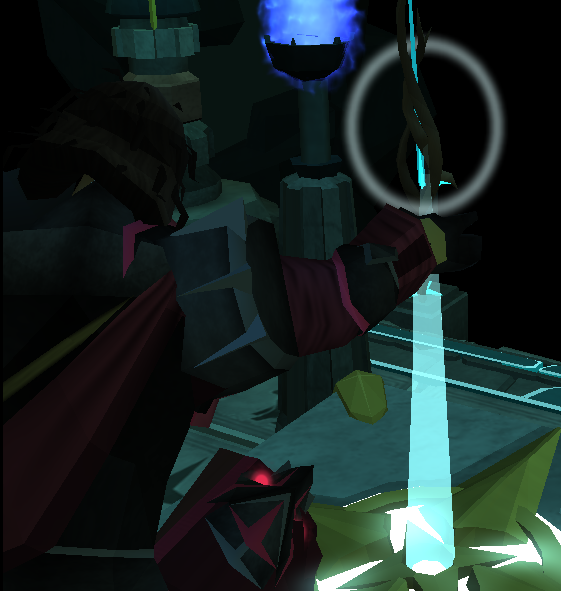 Are you ready to receive the mark of Zamorak? Q: Splendid. Remove your helmet and I shall administer the mark. A: I shall return after I deal with this Temple Knight. Attempt to walk up the stairs in the southeastern corner of the room. You will enter the chamber you were looking for. Q: Excuse me Captain Dulcin. I cannot permit a Saradominist to access the upper levels of the fortress. A: I am bringing him to the tallest tower. A: This one's stubborn. He needs some extra encouragement. Walk up the stairs and proceed north until stopped. Q: The magic circle has ceased to function, and I can find no trace of your witch. I fear our operation has been sabotaged, sir. We have lost contact with the artefact. A: Stand aside. I will handle this. Q: Yes, captain. I shall detain the prisoner while you investigate your chambers attic tower. A: The prisoner stays with me. Q: Enemy agents may have inflitrated the fortress in disguise. A: Any option, Sir Owen will sneak around behind the Knight and knock him out. Once you reach the top, you and Owen will find a ritual chamber. At first Owen is reluctant, but then you decide that you must complete the ritual. To do so, search the shelves for a stick of chalk, and the candle box for three red candles. Also, take the grimoire from the lectern. Reading the grimoire provides 250 Magic XP. To complete the ritual, you must first replace all of the melted candles on the ritual circle with the undamaged ones. You then have to draw the correct pattern on the ground with the chalk, and the pattern you must draw can be found in the grimoire. You can check with Sir Owen to see if you have the correct pattern drawn on the ground. Once you have the candles and symbol properly drawn, you have to chant the correct words over the correct candles, in the correct order. This may take a few times. 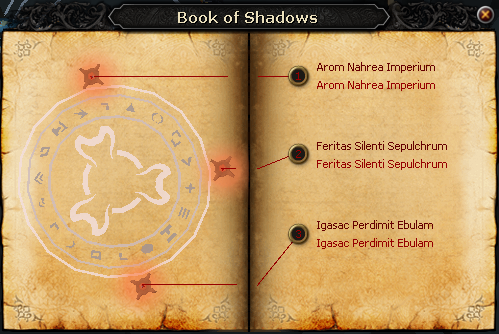 Check the Grimoire for the incantations. Upon chanting correctly, a large red portal will open. At this point, a bank chest will become available in the room you are in, Sir Owen will tell you to bank the disguise or any other items you have gathered, and prepare with your best armour, weapons and food. 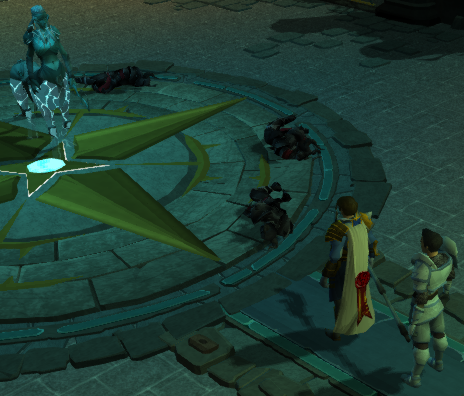 On the other side of the portal you appear in a Saradomin Tomb, North of Trollheim. You will see a cutscene of a Damsel in Distress locked in a cage, getting rotten tomatoes thrown at her by three Black Knights. After the cutscene ends, kill the Black Knights with your preferred style of combat. The hitpoints of the knights are scaled to your combat level, so the fight should be the same difficulty for everybody. After that, search the bodies of the knights to find a key. 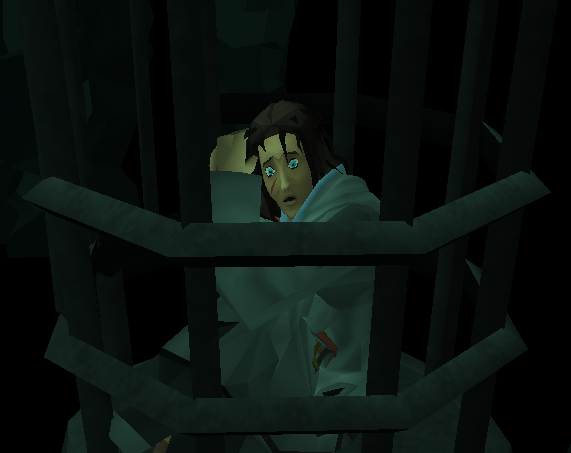 Unlock the cell to let the starving woman out. 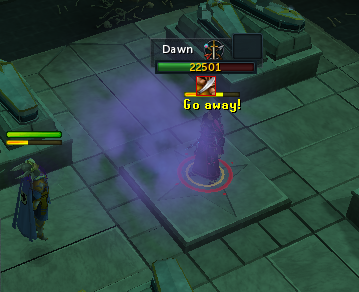 She tells you her name is Dawn and was ambushed by Black Knights on the way to Edgeville Monastery. She and two others were taken to the ritual chamber and teleported to the frozen tomb. She says a the black knights have been dragging off the others one by one, and that they would be back for her if the others did not survive. Find out everything you can from her and proceed through the eastern door. Through this door will be a crypt, looted by the Kinshra for any valuables. There is an altar in here to recharge your prayer points. Head to the south hallway and open the portcullis. Doing so provides 125 Strength XP. 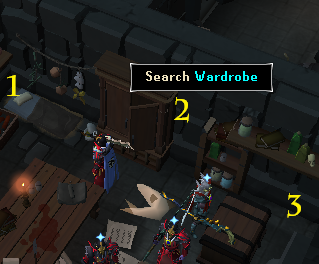 The next room will contain a pile of Black Knight bodies packed around a Saradomin icon on the floor. Getting close to it will result in the ghost of a centaur to appear. She says that her name is Fern. She will talk to you (without the need of a ghostspeak amulet) and tell you that she was a general of saradomin in the god wars, and was the mate of Bree (the centaur that can be fought in the God Wars Dungeon). She has a tragic story of how her sister named Elora became a powerful healer after growing a horn from her forehead (much like a unicorn), but Fern abused her sister's healing power and made her resurrect dead Centaurs to continue fighting in the God Wars. Doing so eventually deteriorated Elora, and Fern says she died "Withered and Worn". When people came to Fern and asked for more Resurrection, she could not supply them with it. So, she cut the horn from Elora's head and attempted to use it. However, she was not virtuous like her sister, and the raised Centaurs, where vicious, bloodthirsty, uncontrollable beasts. After some lengthy conversation, you must say you are ready to be judged, and deemed worthy to wield the wand. The only way Fern can pass into the next life is if the wand finds a worthy successor. She then asks you a simple question: Do you feel worthy to wield the wand? Reply with any answer, and she will then state that she will test you in combat, and that you must kill her. She is an easy fight, with a special attack where she charges directly forwards whilst spitting lightning, and you must dodge out of the way. Upon defeating her, barriers around the wand will fall and Sir Owen will tell you to retrieve it. To break down the first seal, you must play a simple game of memory with the tiles around the wand. You have 8 tries to match all the pairs, and if you fail, you must begin again. Sir Owen mentions that he hates puzzles. After breaking down the first barrier, you must then convince Sir Owen to let you attempt to open the second, red barrier by touching it with the blood of the pure (yours or Sir Owen's) There will be a cutscene where you or Owen cuts their hand and touches the barrier, and the barrier collapses. But as you reach for the wand, a figure in Black Knight armour teleports in front of you and grabs the wand. With a shock, you realize that it is Dawn! Dawn will laugh in your face at your foolishness. 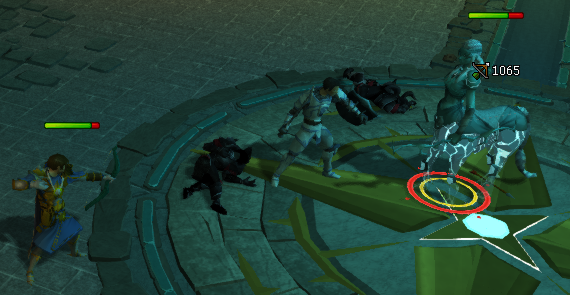 She then teleports back up to the centre where you killed Fern. A cutscene then begins where Sir Owen attempts to attack Dawn, but is blasted back. Dawn then kills him with the wand! But she isn't finished yet, and she revives him as a zombie along with two other Black Knight Zombies. She will then again teleport, back into the second chamber with the altar. Kill them, and also kill Sir Owen's re-animated body. You have the choice here to say some words over Owen's body, and you can say whatever you wish. You also get a chance to take his shield. Follow Dawn up the portcullis. You will find her among the centre of the coffins, and now you may finally vent some build up frustration at her. But this time with a weapon. The fight involves her summoning extremely weak skeletons, and her raising force fields whilst skeletons are alive. If you go in melee range she constantly blasts you back with a cloud of purple magic. Avoid this and kill all the skeletons as quickly as possible. If you hide behind any of the coffins, she will taunt you and mock you until you resume battle. This battle can be drawn on due to her high amount of hitpoints and her special attack, which is summoning a cloud of purple gas that deals constant damage while standing in it. She will summon these around you. Unleash thresholds when you get them and eat when needed. If you have a shield, the revenge ability can be very useful here, as she will constantly boost your damage as she hits you. Berserk can be used to great effectiveness, but make sure only to use it just after her shield has dropped, otherwise the ability will be used in one hit and wasted. 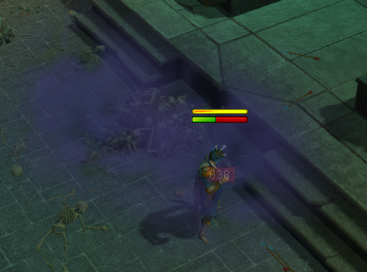 The skeletons are very, very weak, and are more annoying to chase after than battle. They have low enough hitpoints that you will almost definately one hit them every time. If you die in this fight, you will not lose any items. You will be sent back to the ritual chamber at the Black Knights Fortress and you can go through the portal to begin the fight again. There is an altar in here, so you will not need Prayer potions or renewals. After she is dead, you will retrieve the wand from her, as well as two other items: a Skull of remembrance, and Dawns key. Saradomin will congratulate you on defeating her and ask you to return to Sir Owen. 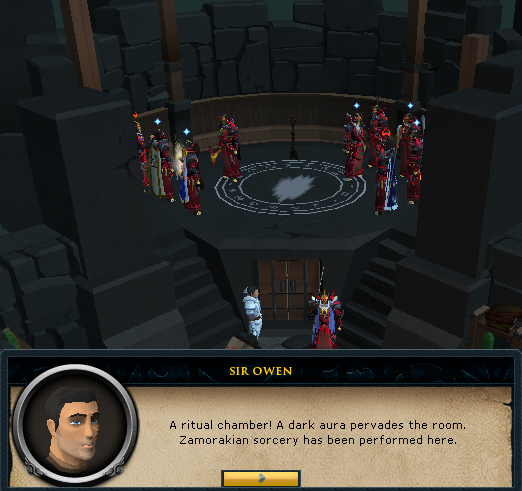 You will meet him there and you must make the decision of giving Saradomin the wand to resurrect Owen or not. 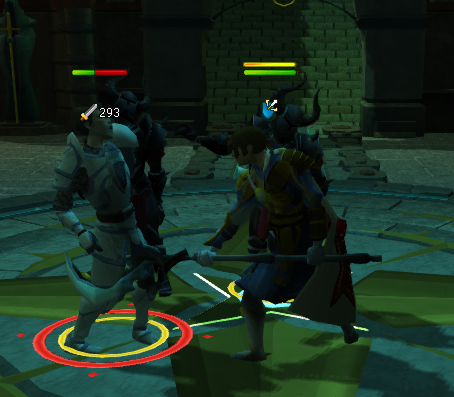 If you give Saradomin the wand, he will return Sir Owen to life, but there are some complications. If you do not give him the wand, he will take it anyway with the same results. Owen's sword arm has been reduced to a rotted limb and there is a large green web of corruption growing up his shoulder and neck. 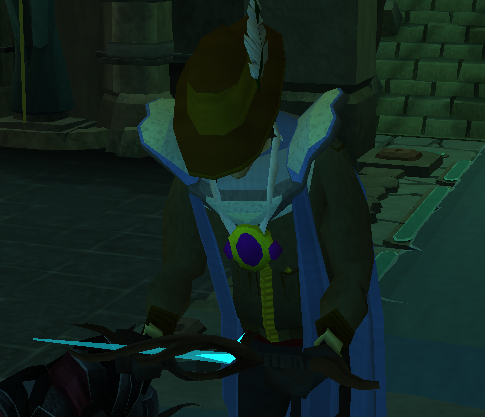 Saradomin apologizes and realizes that not even he is worthy of the wand. From looting all the dead black knights you can receive a total of 2,500 coins. 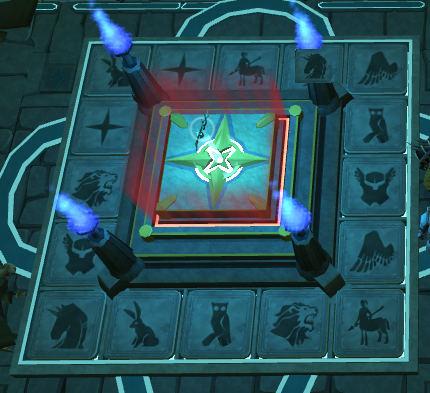 You can also take 200 Water Runes and 200 Fire Runes from the supply crate next to the portal when in the crypt. Using Dawn's Key on Dulcin's journal will unlock it and reveal some extra story behind the quest. 3,500 XP Ancient Combat Lamp. Requires 40 Strength to obtain, and gives XP to any combat stat 40 or above. 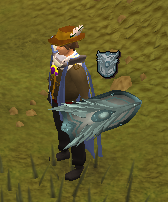 60,000 XP Ancient Prayer Lamp. Requires 80 Strength and 65 Prayer. Gilded Cabbage. Requires 60 Strength. The Gilded Cabbage is a fun item, much like the beachball from the Squeel of Fortune. When placed on the ground, it can be kicked around and it will count how many times it has been kicked. 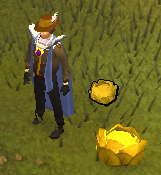 Once you kick your Gilded Cabbage 30 times, you will receive a visit from an extremely powerful God and 10,000 Prayer XP. This XP will be awarded as double XP while you train and will disappear after being all used up. The Templar Armour is a cosmetic override the can be accessed in the wardrobe feature. It cannot be used on free-to-play worlds. 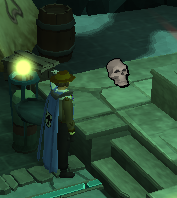 The Skull of Remembrance is a useful item that has unlimited teleports to the ritual chamber (which has a bank) and can be used to re-watch cutscenes from the quest. The cutscenes can only be viewed in banks, in the ritual chamber, or in the crypt. Using the Skull on Dawn's dead body will allow you to replay the fight between you and her again.